Something very strange happened today … I hit the top.50 books on iTunes. 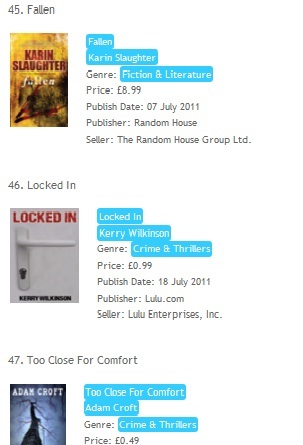 I am at No.49 but was at No.46 not too long ago. To say I’m shocked to be selling above those people is something of an understatement. I honestly do not know what to say.